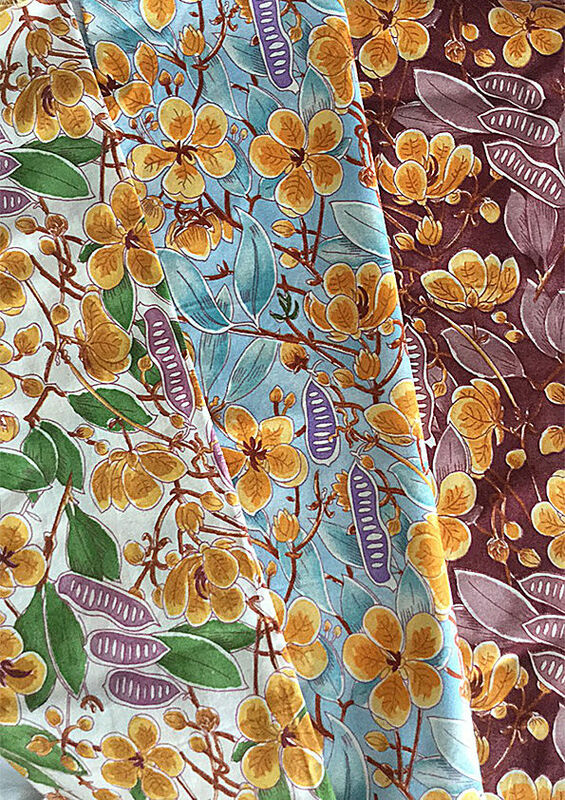 Senna Fabric - Available in three colours at selected outlets. 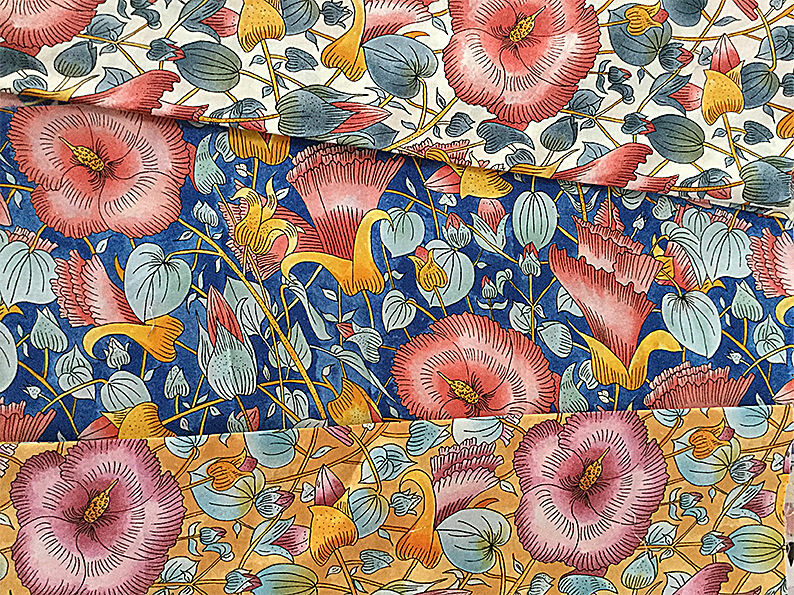 Blue Wren Fabric - Available in three colours at selected outlets. 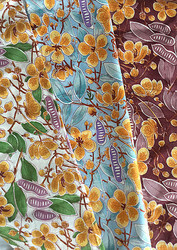 SOME OF OUR LATEST FABRIC DESIGNS - CLICK TAB: DESERT FABRIC DESIGN TO SEE SOME OF THE RANGE. 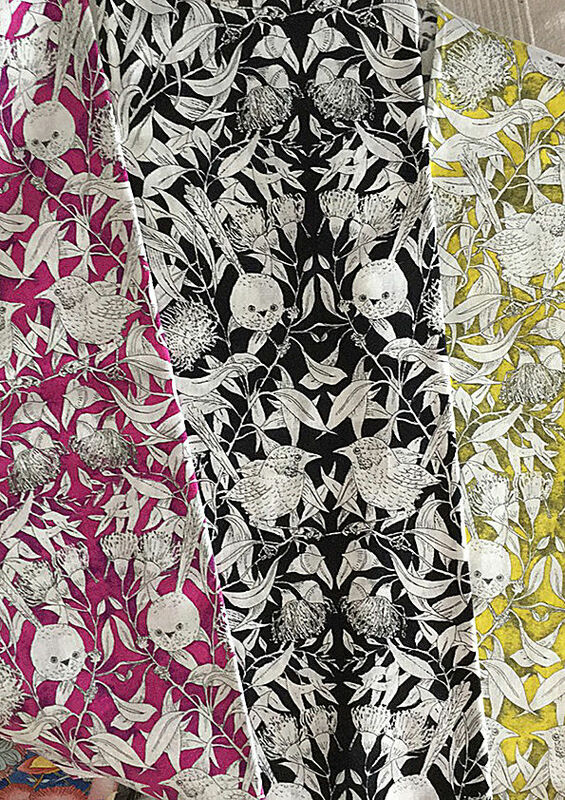 FABRIC DESIGNS: Many of our fabric designs may now be purchased from Spoonflower in suitable lengths to your requirements and posted direct to you. Bring you Botanical Art, Native Animal Art, Desert Textile Designs and Landscapes all from Central Australia in brilliant water colour, acrylic on canvas and the photographic medium. Note: Click on Photographs to enlarge them. All art works by Patricia Weeks and photographs by Allan Weeks unless noted otherwise. Honey Grevillea - Grevillea eriostachya (water colour) - Found in the desert areas Uluru through to central Western Australia. Stanley Chasm in the West Macdonnell Ranges - Alice Springs (acrylic painting). 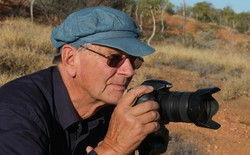 To view small photographs below click on image. Our Work Shop/Studio for several months during the winter of 2016 in the Desert of Central Australia. 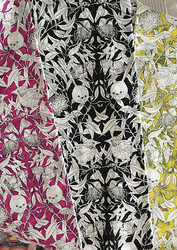 Also:* Wholesale - M&S Textiles - 136 Cromwell Street Collingwood - VIC 3066 - 03 9417 0052. Go to their website http://www.mstexaustralia.com/shops-2/ to find a retail outlet near you. 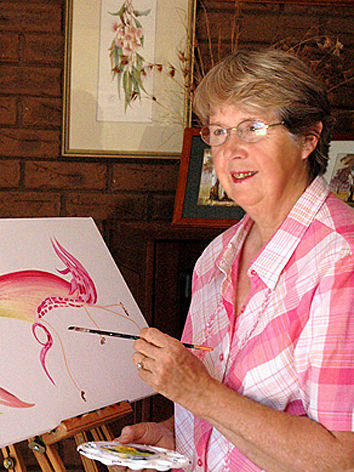 A SPECIAL TREAT: IF YOU WOULD LIKE TO STAY AT A HALL'S GAP HOLIDAY HOME - IN THE BEAUTIFUL GRAMPIANS - VICTORIA - DECORATED WITH PAT'S PAINTINGS - Click on the following link: www.antshallsgaphouse.com.au . 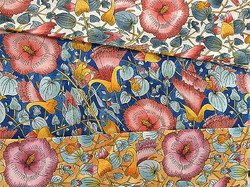 Fabric shown on the - Desert Fabric Design - Page annotated as - Sold - have been sold to the Fabric Printing Trade and as such should be available at many retail outlets. Designs not so marked are not currently available for retail purchase. 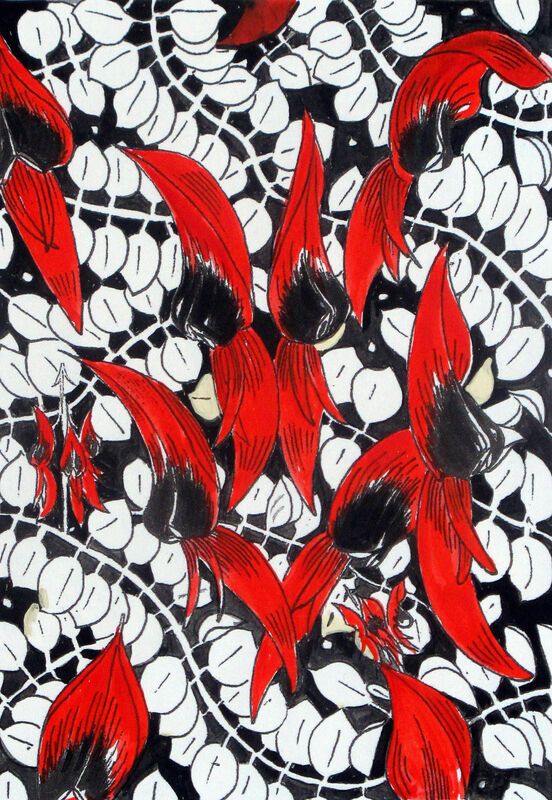 Textile Design Sales to the Fabric Printing Trade Welcome. 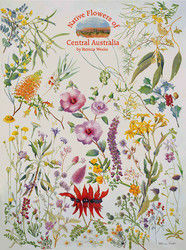 PSTR 601 - Poster of 47 Desert Flowers of Central Australia. 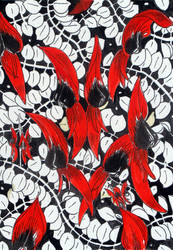 Price $27.00 ea. Inc. Postage within Australia. Poster Size 59 x 79 cm. 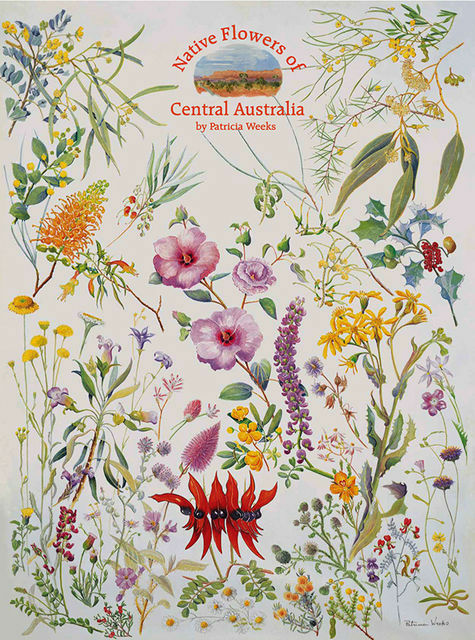 Poster comes complete with Flower Index Sheet.